Held by the Vietnam Coffee-Cocoa Association (VICOFA), the event focused on promoting coffee products to domestic and international consumers, and discussing orientations for enhancing intensive processing and diversifying finished products as well as stepping up clean and sustainable coffee production. According to the VICOFA, Vietnam is the second largest coffee producer and exporter in the world for many years with an annual output of 1.7 million tonnes. The quality of Vietnamese coffee is highly appreciated by foreign nations. However, the country’s coffee export value remains low as it mainly exports coffee beans. The industry has seen stable development in recent years. The roasted and instant coffee products have become diversified, the association said. 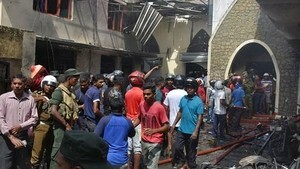 Attention has been paid to applying science and technology, and modern equipment in processing and preserving, it noted, adding that many businesses have built their reputation for consumers in and outside the country. 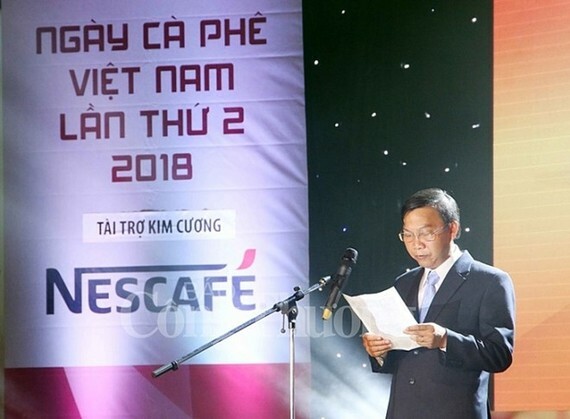 Vice Chairman of the provincial People’s Committee Truong Thanh Tung said through the event, Dak Nong hopes to get more support from relevant ministries and sectors in developing its coffee industry in a sustainable manner. Deputy head of the VICOFA Do Ha Nam said that around 200,000 tonnes of coffee beans are consumed domestically each year, equal to 11.7 percent of total output. Vietnam is striving for 30 percent of coffee consumed in the domestic market by 2030. It has also set the target of raising export turnover to 6 billion USD over the year and remaining the world’s second largest producer and exporter of coffee beans. The country shipped some 1.57 million tonnes of coffee abroad for 2.98 billion USD during the first ten months of 2018, up 21.3 percent in volume and 0.9 percent in value as compared to the same time last year, according to association. Germany and the US remained the biggest coffee importers of Vietnam, with respective market shares of 12.5 percent and 9.6 percent. Coffee shipments to Germany rose 14.4 in terms of volume, but decreased 6.6 percent in value. Meanwhile, coffee exports to the US declined 3.6 percent in quantity and 20 percent in value.